Do you like Barbie Visits Mulan? Share it with your friends. 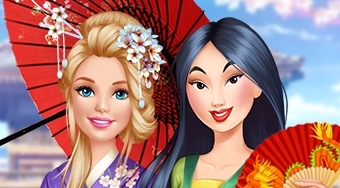 Barbie Visits Mulan - enjoy the visit of your friends in Japan in the role of a Barbie.